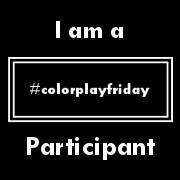 Welcome to Color Play Friday! For those of you who are new, Color Play Friday (CPF) is a fun, weekly challenge hosted by Trina from In an Otter Life and Lorinda from Laurel, Poppy and Pine. 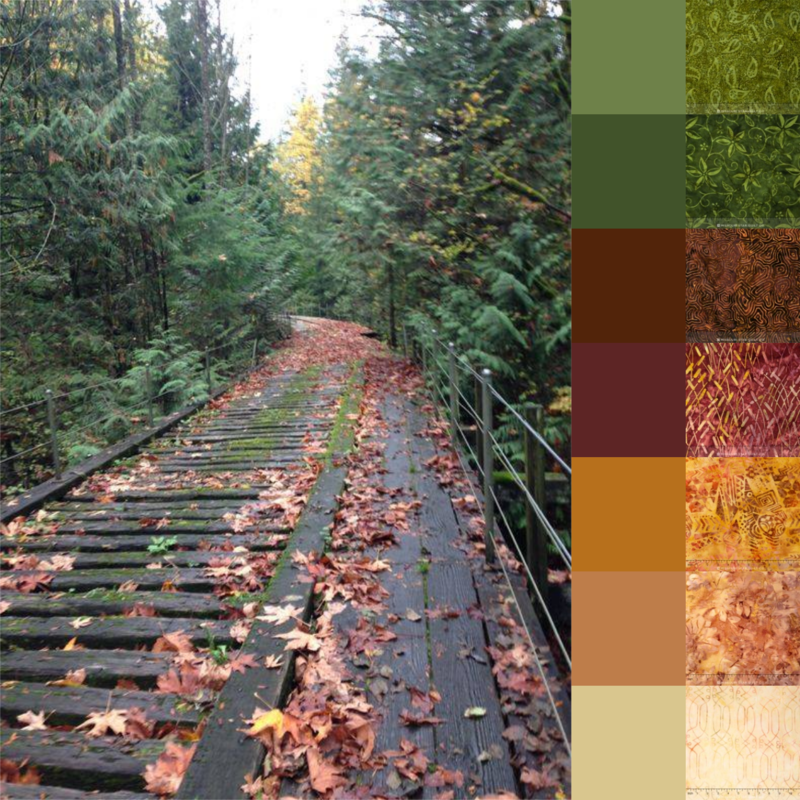 Each week they provide one of their photographs as inspiration and then the participants create a color palette and a bundle based on the photo. It's a lot of fun. You should play along! 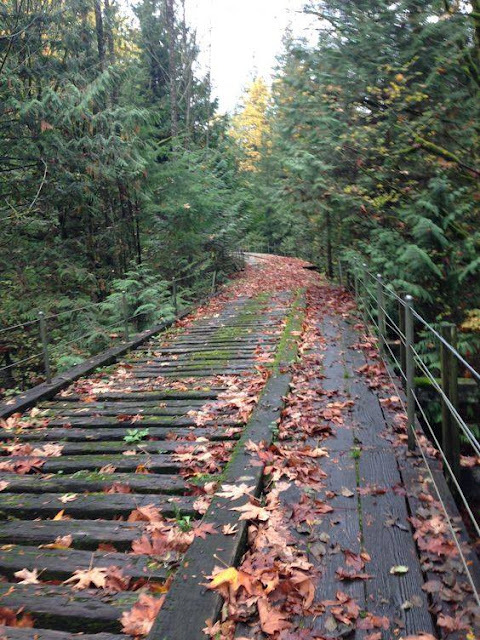 This week the theme is all about Fall. I think Fall may be my favorite time of year. I love the smell of burning leaves on the air. I love the taste of pumpkin in EVERYTHING (you know what I mean). Mostly though, I think I love that it's no longer elventy bajillion degrees out! Come on Fall! Get here already! Here is the photo of the week. Can't you just feel the crisp Fall air? No wait, that's just the combo of the AC blowing and a fan spinning overhead. Sigh. I did things a bit differently this week. First, you may have noticed, my bundle is all batiks! I occasionally use batiks but they are definitely not my go to. I really like how they work with the photo. Second, these fabrics are all from the same collection - Autumn by Tonga Treats! I usually try to pull fabrics from different lines but this time I just had to go with this collection. It kind of feels like cheating! I actually saw this collection earlier in the week when I was shopping around online and I knew it would be perfect for this week's CPF photo challenge. Yep, definitely feels like cheating, lol. I "shopped" at Missouri Star Quilt Co. this week. See my past CPF entries by clicking the Color Play Friday tab in my menu bar! Nice! I'm not usually a batiks girl either, but the ones you've selected are great! It may be "cheating" (as if one could cheat on this!) but it is a lovely bundle. I can see why you went with it! Nice.